Erin Gallagher secured SA's first gold medal in the 100m freestyle with a time of 54.79, over two seconds ahead of Egypt's Farida Osman in 56.80 and Algeria's Medjahed Nesrine in 58.09. In the 50m butterfly, Erin Gallagher added a silver medal to her tally in 26.64, behind Egypt's Farida Osman in a new Championship Record time of 26.16 and ahead of Algeria's Melih Amel in 27.52. 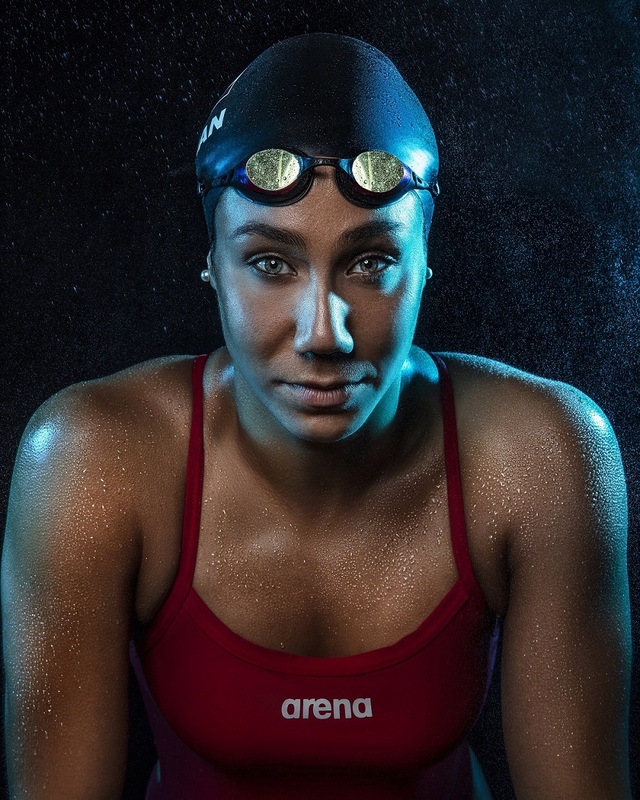 Osman (26.16) won the 50 fly over Gallagher (26.64) in a new meet record, and then led Egypt (3:36.94) to narrow a win over the South Africans (3:37.06) in the mixed 400 free relay. Osman split 56.58, and was joined by the likes of Ali Khalafalla (50.84) on the lead-off and Samy (49.15) on the anchor. In the 100m butterfly, Erin Gallagher finished second in a hard fought race with Egypt's Farida Osman. Gallagher touched the wall in 1:00.45 to Osman's 59.03, while the bronze medal went the Algeria's Medjahed Nesrine in 1:04.74. With one of the closest finishes of the competition so far, Erin Gallagher claimed the 50m freestyle silver medal in 25.17, 0.06 secs behind Egypt's Farida Osman in 25.11, while the bronze went to Algeria's Melih Amel in 26.15. DETROIT - Goldfish Swim School Franchising, LLC has signed on as an official sponsor of the USA Swimming Foundation, the philanthropic arm of USA Swimming. The company will support the Foundation's Make a Splash initiative, a national child-focused water safety campaign that aims to provide the opportunity for every child in America to learn to swim, by becoming an official learn-to-swim provider and water safety advocate across the country. In addition to providing swimming lessons and educating children and their families on the importance of learning how to swim, Goldfish Swim School Franchising has set a fundraising goal to raise $1,000,000 by 2024 in an effort to help fund free or reduced-cost swim lessons in communities across the country. Goldfish Swim School shared news of the partnership with its 74 franchise locations at the brand's annual conference this week in Detroit, Michigan, alongside Olympic gold medalists and USA Swimming Foundation ambassadors Ryan Murphy and Jason Lezak. Goldfish Swim School Co-Founder Jenny McCuiston also presented the USA Swimming Foundation with a check for $20,000 to jump-start the company's donation efforts. Looks like Spieker to me. 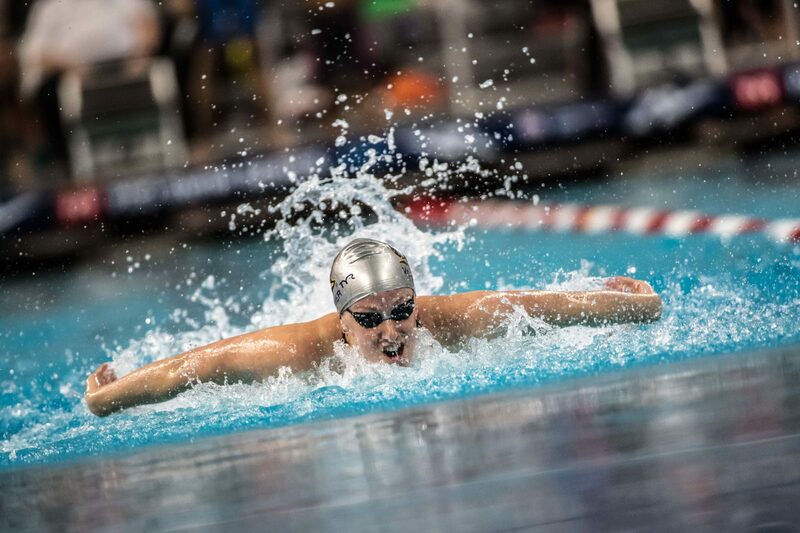 Competing at the FINA World Cup stop in Budapest, Kathleen Baker tied the American Record in the women's 100 IM in a time of 58.02, equalling the record set by former Team Elite teammate Katie Meili in 2016. Baker, who announced that she was turning pro a few months ago, produced a personal best at the first short course stop in Eindhoven in 58.14, placing 2nd to world record holder Katinka Hosszu. Here, she actually dropped a spot down to 3rd, but improves her time by just over a tenth to tie Meili's record. Hosszu repeated as the winner in 57.64, and it was Sweden's Sarah Sjostrom who improved from a 4th place finish in Eindhoven up to 2nd in 57.75. In such an elite field featuring Hosszu, Sjostrom and Australian Emily Seebohm, Baker was just 3rd on the first 50 in 26.36, identical to her front half in Eindhoven, before closing just over a tenth faster in 31.66. 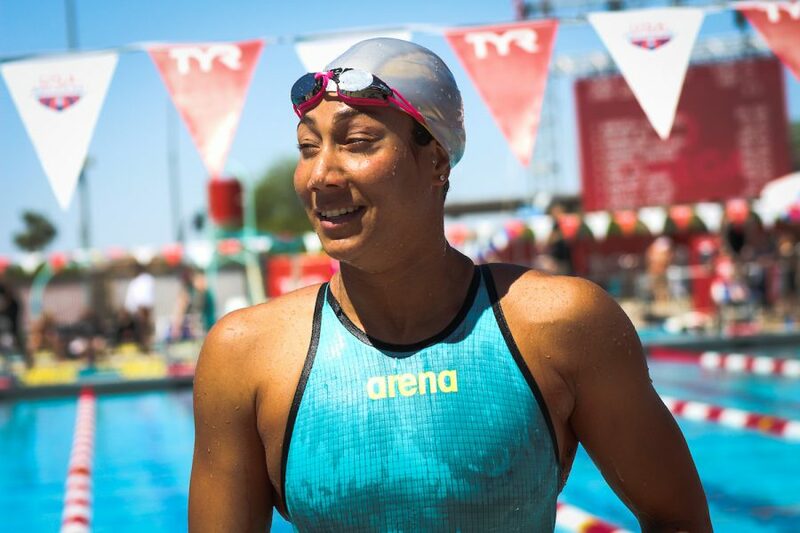 Meili, a breaststroke specialist, was about eight-tenths slower than Baker opening up (27.16), but was the same margin quicker closing in a blistering 30.86. This gives Baker a share of her second SCM American Record on the circuit, as she broke the 100 back record in Eindhoven in a blistering 55.91. 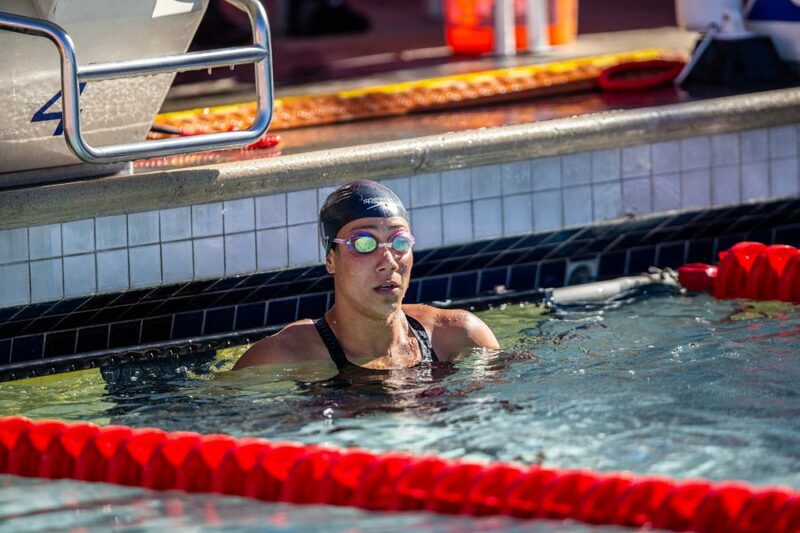 By McKenna Ehrmantraut, Swimming World College Intern. Many know Milo Cavic as the man who almost ruined Micheal Phelps' chance of winning eight gold medals at the 2008 Beijing Olympics. Losing to Phelps in a controversial race by .01 seconds may have made Cavic a household name, but few stopped to appreciate the man who had overcome obstacle after obstacle to become an Olympic medalist in his own right. 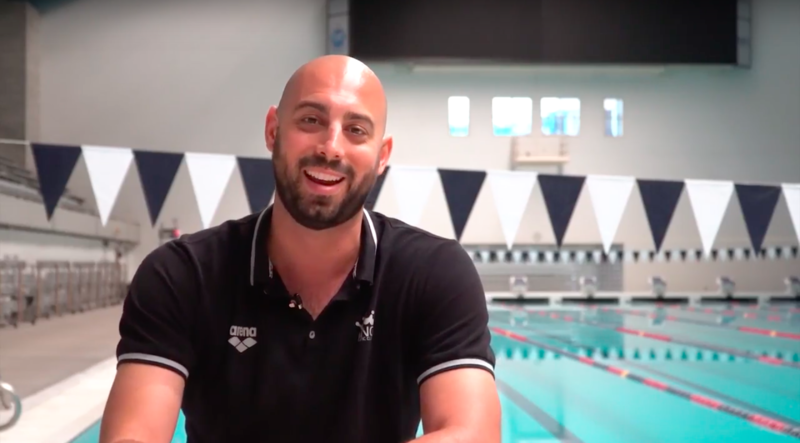 Recently, Cavic took a coaching position at King County Aquatics in Federal Way, Wash., and sat down to talk about his life growing up, his swimming career and his life now. Just noticed that the author of this SW article = "Courtney Mykkanen" hmmm, any relation to our very own legacy Bear on the women's team, Coco?? 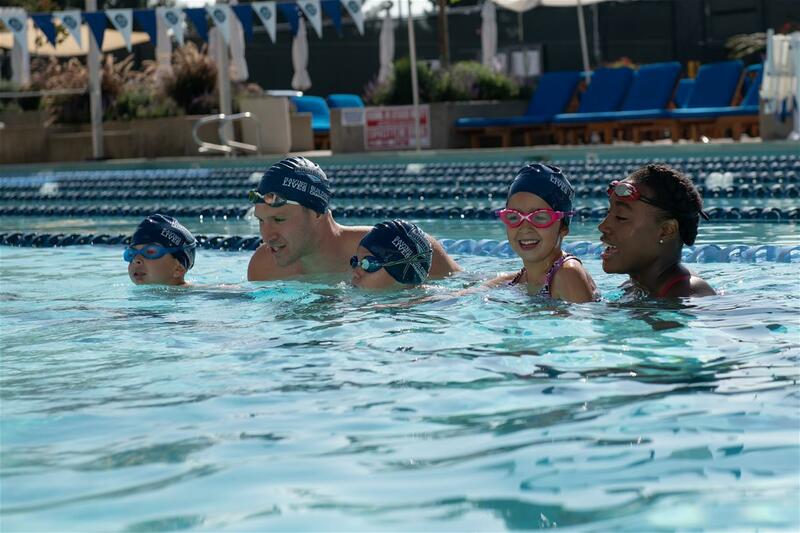 Olympians Ryan Murphy and Jacob Pebley recently coached the first ever Back2Back Swim Camp in Palo Alto, Calif. The two-day backstroke camp consisted of 60 swimmers nationally who met the qualifying time standards. 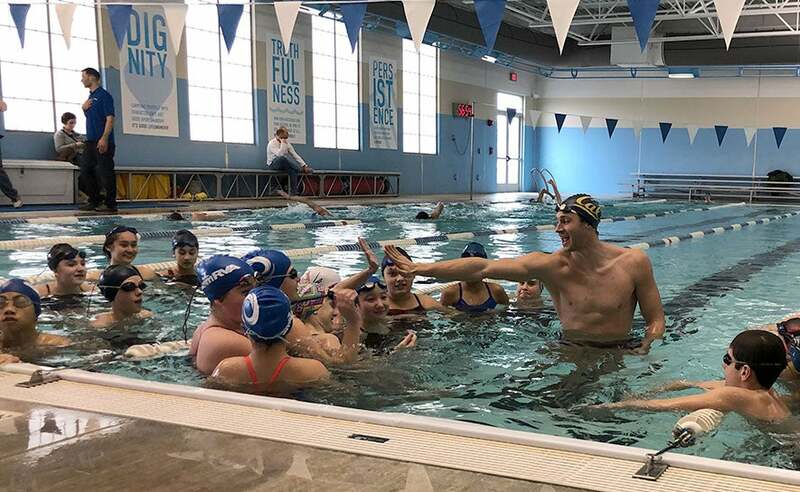 These qualifying swimmers not only got to train and race with Murphy and Pebley, but they also got to learn from them in a variety of settings: on deck, in the pool and in the classroom. Swimming World got to catch up with Murphy regarding the camp's background, highlights, and future plans. Duje Draganja (men's swimming, 2002-05) - Draganja was a three-time Olympian for his native Croatia, winning a silver medal in the 50-meter freestyle at the 2004 Athens Olympics. He captured eight NCAA titles during his Cal career, including back-to-back wins in the 100-yard free at the 2003 and 2005 NCAA Championships. He also earned five individual and 10 relay victories at the Pac-10 Championships. Named the 2005 Pac-12 Swimmer of the Year, Draganja set a then-NCAA record of 41.49 seconds in the 100 free at the 2005 NCAA meet and that swim still stands as second in Cal history behind only Nathan Adrian. 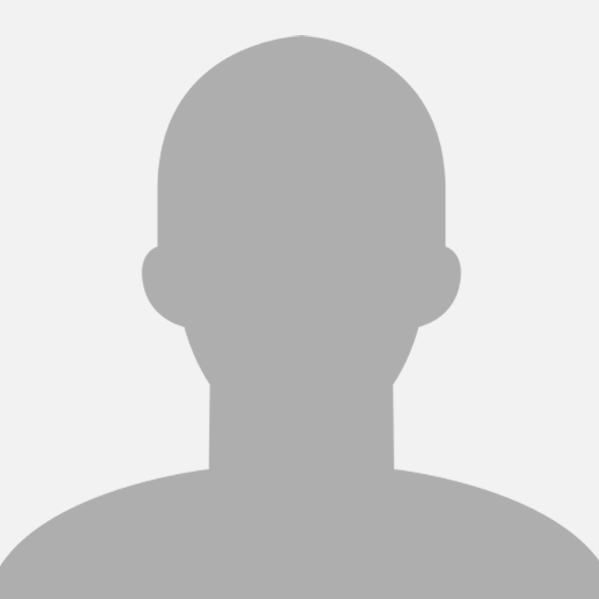 Farida leaving Cal to train in Virginia? Some mornings, Dana Vollmer wakes up tired and just does not want to go to practice. The swimmer, a five-time Olympic gold medalist, juggles numerous practices per week with raising two sons under 4. The strongest force pulling the 30-year-old out of bed and toward the pool comes from the college-aged swimmers at her alma mater, the University of California Berkeley. They text Vollmer to tell her how much they love having her at practice. "To know that they still value me being with them, and training with them and smiling at the end of the lane, meant a lot to me," Vollmer said. "I don't know where I would go if I wasn't allowed to train with the college team," Vollmer said. 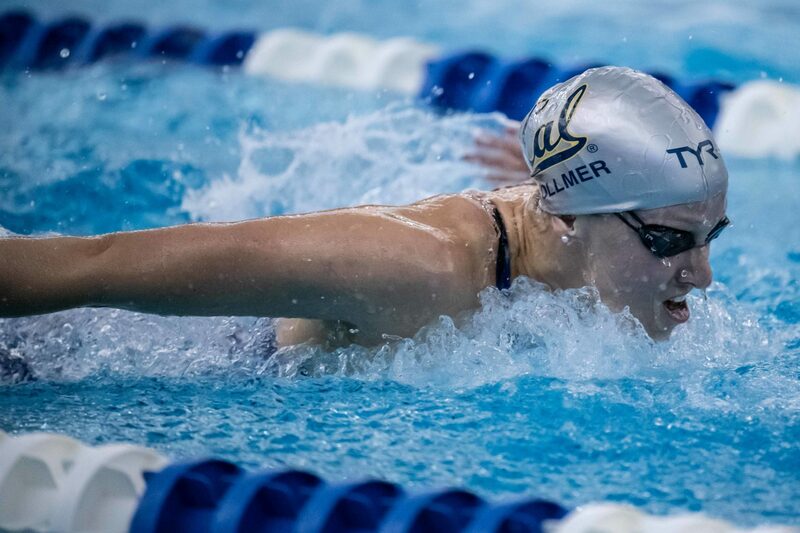 "There are really no other places to train in the U.S. other than post-grad teams [affiliated with] college teams," said Franklin, who swam for Cal before turning pro in 2015. 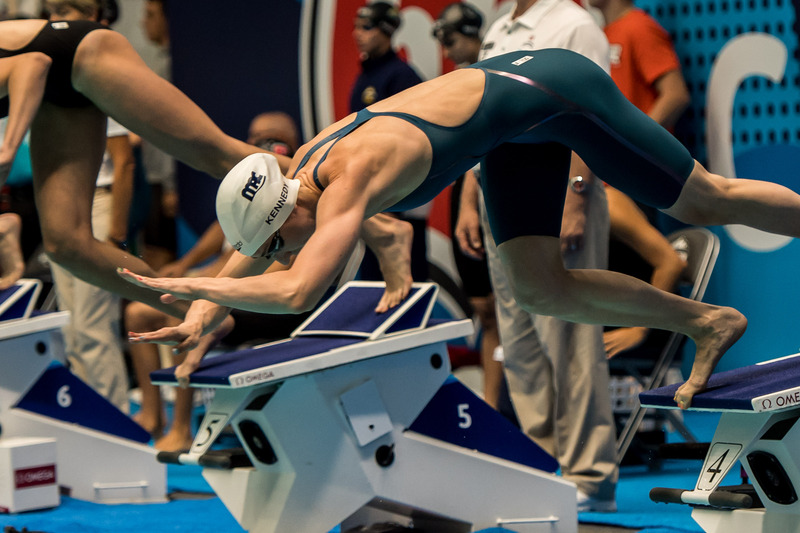 Many swimmers find a college team environment is better than training individually. 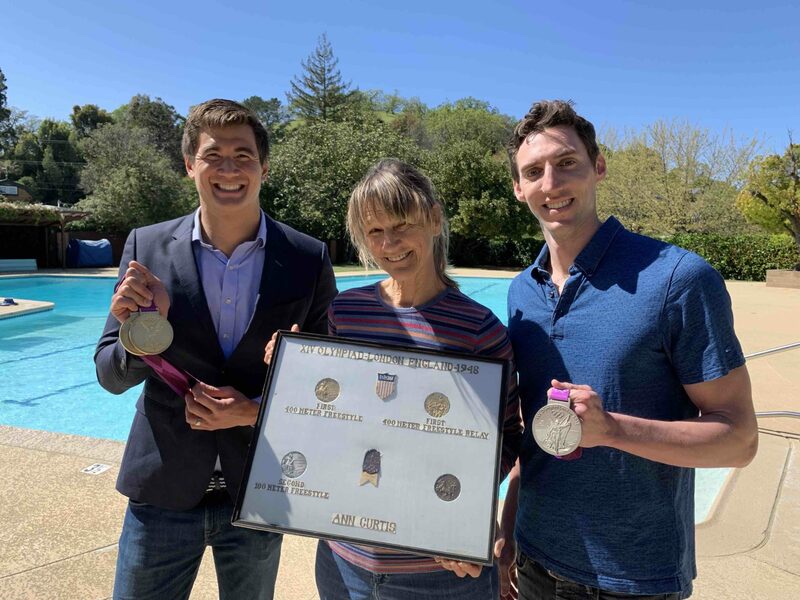 "Being able to get competitive with some guys every day is really key," said three-time Olympic gold medalist Ryan Murphy, who also trains at Cal, his alma mater. "I don't think I'd be able to go as fast as I do without that." For Vollmer, getting back into training after the birth of her second son was not easy. She finished last in sets and missed pace times. What helped was hearing from Cal swimmers Amy Bilquist and Abbey Weitzeil, as well as fellow professional Farida Osman. Osman would text Vollmer the weekly schedule for workouts. "She'll call me out and be like: 'You better be there. It's just me and you. Don't leave me there,' " Vollmer said. When she was nine months pregnant with her first son, who was born in March 2015, Vollmer asked Cal Coach Teri McKeever whether she could come back and train with her leading up to the 2016 Olympics. 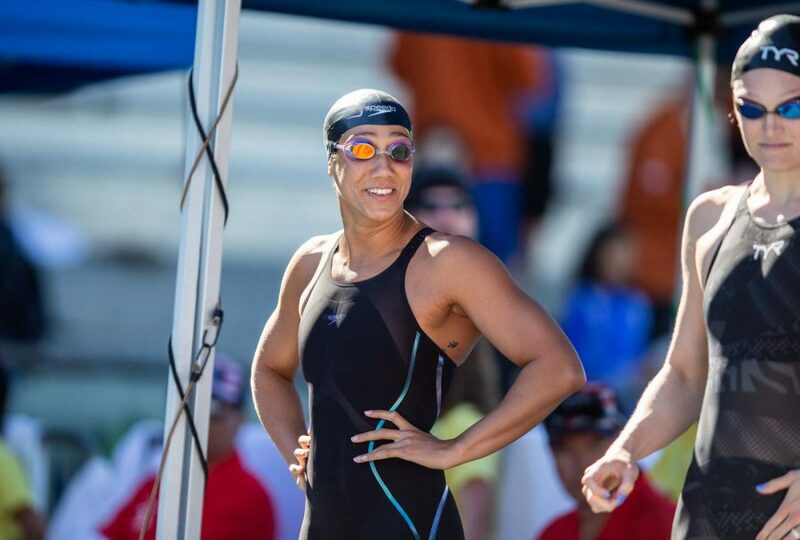 In Rio, she became the first American mother to win a swimming gold medal, in the 4x100 medley relay. "If Teri were to leave, I would follow her, most likely," Vollmer said. "It is finding a coach that works well with you and that you know how to communicate with." Georgia Coach Jack Bauerle, who helps direct the second-largest group of 2016 U.S. Olympian postgraduates training alongside college swimmers (Cal's group being the largest), said balancing two sets of training regimens isn't easy. "There are little things here and there that I can do or say to help them along their journey," five-time Olympic medalist Nathan Adrian said of the college swimmers with whom he trains at Cal. "On the flip side of that, I think they offer camaraderie and friendship to me in this journey, where swimming can be pretty lonesome and boring if you're just doing it alone." Olympic gold medalist Ryan Murphy came back with a vengeance in 2018 after falling short of his bests in Budapest. Murphy swept the backstroke races at the 2018 Pan Pacific Championships, breaking the Meet Record in both backstroke events to take gold. In the 100 back, his 51.94 was just a tenth shy of his own World Record and tied for the 3rd fastest performance in history. Murphy won the 200 back with a lifetime best 1:53.57, faster than the time he swam to win Olympic gold in Rio. 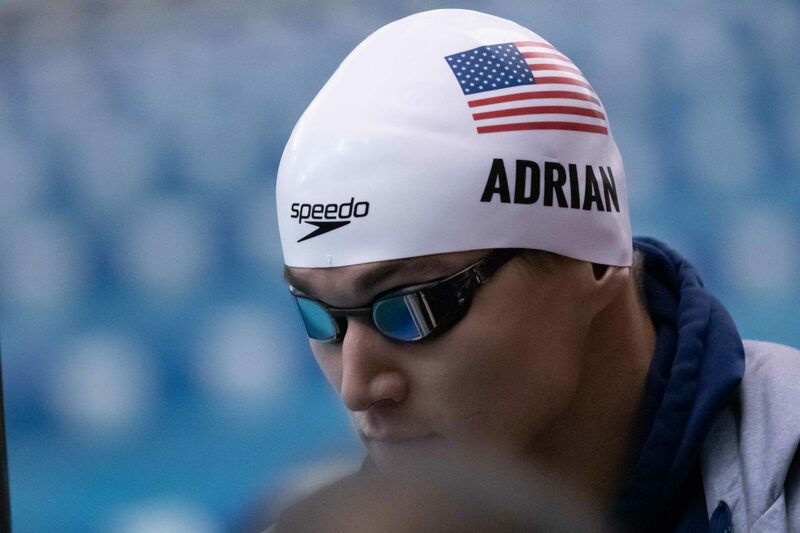 He continued his success through the short course season as he competed at the 2018 Short Course World Championships. Murphy came away with 3 golds and 6 total medals. Individually, he won gold in the 100 back. 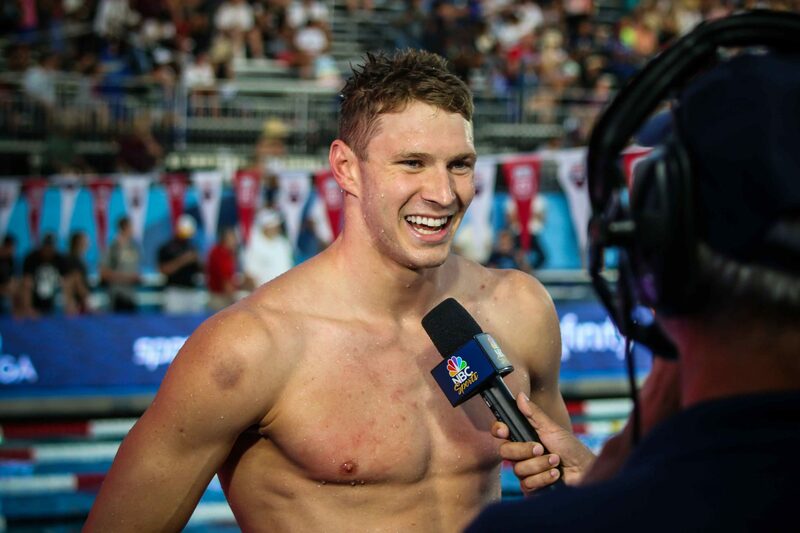 He took silver in both the 50 back and 200 back, setting a 50 back American Record in the process. Murphy helped the USA to gold in the men's 400 medley relay and mixed 200 medley relay. He was also a part of the 2nd place men's 200 medley relay squad that set an American Record. Floored. What an all-around athlete, let alone gentleman -- classy, humble, well-spoken, and a true veteran of the sport. All good thoughts sent Nathan's way for him and his family in light of this shocking news. usaswimming: "Happy #InternationalWomenDay to all the swimmers, coaches & volunteers who make our sport better each day. Tag a woman who has inspired you"
farida_osman: "Be so good that they can't ignore you- today and everyday we celebrate women around the world! Happy #internationalwomensday keep shining"
dana.vollmer: "Strong powerful spirited women! I'm very blessed to have incredible women in my life as friends & role models! Thank you to each and every one of you! Here's to #internationalwomensday! #womensday #love #girls#womensupportingwomen#womenempowerment "